Vistula is the longest and the most important river in Poland. It used to be the main trade route in Poland as it passes through many cities, including Warsaw, Gdansk and Krakow. In Krakow it flows alongside such landmarks as the Benedictine monasteries, the Wawel Hill and crosses the two oldest districts– Podgorze and Kazimierz. 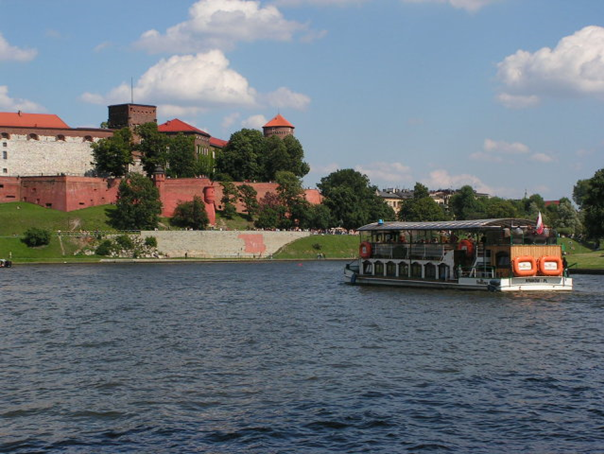 In recent years Vistula cruises have become one of the main tourist attractions of the city. You can book river cruises, see Krakow from the water and enjoy the landscape from the comfortable boat. You can choose from half-an-hour long cruises and see the area close to the Wawel Hill,or longer, several hours’ long tours to Tyniec and Bielany (the Tyniec cruise is combined with the sightseeing of the Benedictine Abbey).